The fourth volume in the BFI's British Artists' Films series - produced in partnership with arts documentary makers Illuminations and Arts Council England - features Jayne Parker, an artist who makes moving images for cinema, gallery and television. The DVD surveys Parker's 25 years of filmmaking. Included are one of her earliest animations I Cat, an early live-action work I Dish, the trilogy K., The Pool and Cold Jazz, her dance film with Lynn Seymour and Donald MacLeary The Reunion, and the music films Blues in B-flat and Stationary Music. The DVD also contains the Frame - Jayne Parker (2005) a 28-minute specially-made interview with the artist. 'In my work I try to see and understand what the body can do Inanimate objects can also be the body. I like the physicality of film and its the music films Blues in B-flat and Stationary Music. The DVD also contains the Frame - Jayne Parker (2005) a 28-minute specially-made interview with the artist. 'In my work I try to see and understand what the body can do Inanimate objects can also be the body. I like the physicality of film and its precision; I like the sense of space within the frame Filmmaking allows me to make connections between seemingly unconnected images of events. There is a strong element of performance in my work'. 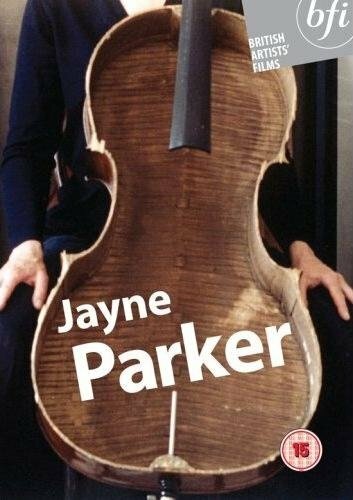 Jayne Parker (b. 1957) studied at Mansfield College of Art, Canterbury College of Art and the Slade. She discovered film as a medium when she was a sculpture student at Canterbury College of Art (1977-80). Her work, which has been shown widely at art venues, on television and in film festivals internationally, features objects, performance and gesture combined by the camera to explore space, duration and the physical body. She was a visiting lecturer at Goldsmiths' college from 1984 until 1998 and has taught at the Slade School of Fine Art since 1989.